It is 1895, and Sherlock Holmes is settling back into life as a consulting detective at 221B baker street, when he and Watson learn of strange goings-on amidst the dreaming spires of oxford. A Professor Quantock has built a wondrous computational device, which he claims is capable of analytical thought to rival the cleverest men alive. Naturally Sherlock Holmes cannot ignore this challenge. 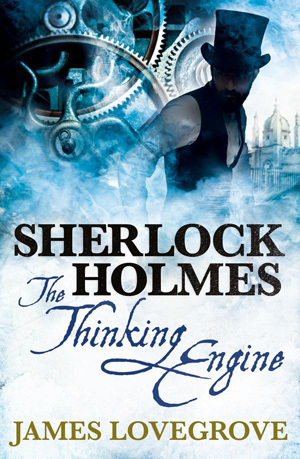 He and Watson travel to Oxford, where a battle of wits ensues between the great detective and his mechanical counterpart as they compete to see which of them can be first to solve a series of crimes, from a bloody murder to a missing athlete.